Blue background with easy to read white text stating "Fire action"
What Is The Purpose Of The Mandatory/Site Safety Signs? In any workspace, the use of safety and mandatory signage ensures that all visitors and employees adhere to the guidelines and safety requirements set out. If you need clear and concise direction, a safety and mandatory sign easily provides the information you need conveyed. The mandatory signs are a regulated and standardised set of signs that lay out what actions must take place to comply with all safety requirements. They are made easy visible and can be found by their distinctive blue colour and white pictogram. The site safety signs are prohibitions, warnings, fire alerts and a whole range of options that must be carried out on your worksite. 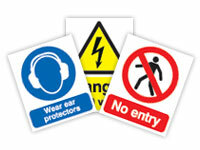 Comply with all safety regulations and requirements with our wide range of mandatory and site safety signs. Get yours today from our wide range of choices. Where Can Mandatory/Site Safety Signs Be Used? These signs are created with the intent of being displayed in your work area. Regardless of whether it’s in the warehouse or out in the parking lot, your whole site can be clearly labelled and secure in a way that complies with all government stipulations. 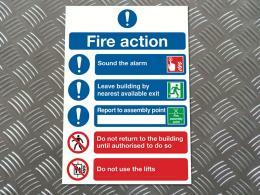 The site safety signs are self-adhesive and adhere to any wall or post where needed. Other signs may require fixings so please consult the catalogue before your purchase. Who Might Use The Mandatory/Site Safety Signs? If you own a business, you are required to display a mandatory sign that is regulated and standardised by the government. Any home workspace can be safely marked with clear and visible signage as well. Keep you and your employees safe and within the boundaries of the law with these safety signs. Mandatory Signs are displayed in the required blue and white colour scheme. Prohibition, Warning and Fire Safety Signs have clearly marked actions. Signs can be self-adhesive or require fixings. See options in chart for our full range. Constructed from rigid 1.2mm polypropylene or self-adhesive vinyl. 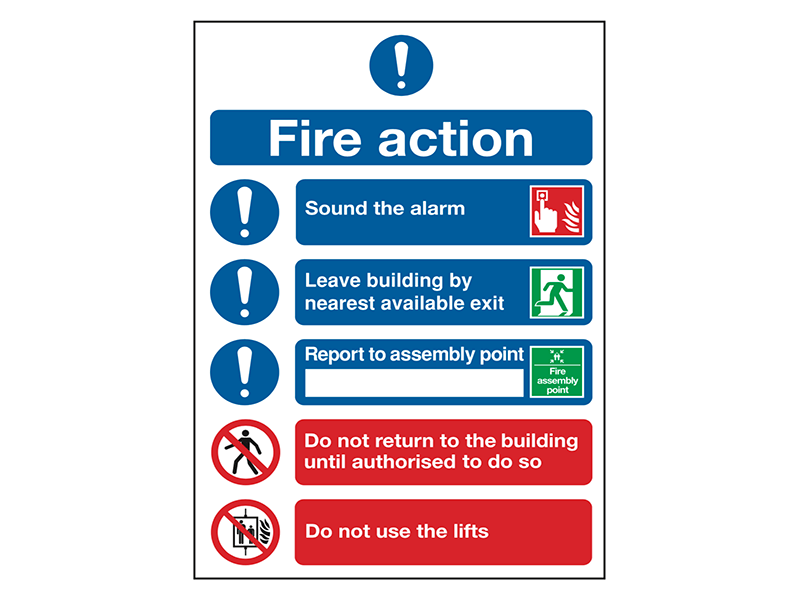 Complies with all requirements put out by the EC Safety Signs Directive 92/58/EEC on the provision and use of safety signs. Complies with the standards required across the European Union to have a standardized system of safety signage across all workplaces. Free delivery for these signs. 1 year warranty on all parts and labour with every purchase.